Our VLSI team has been designing silicon backplanes for over 15 years. Composed of engineers with diverse backgrounds, the team collectively covers the entire gamut of ASIC design from process development to manufacturing test development including every other aspect of silicon design and verification. 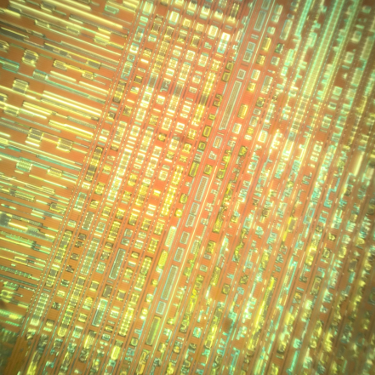 We leverage this end-to-end design capability to engineer the most efficient, innovative, and highest performance silicon microdisplay backplane designs on the market. Integrating custom high density framebuffers keeps system complexity low while maintaining industry leading image quality. Being located in the same facility as our chemistry team that develops and manufactures our Ferroelectric Liquid Crystal (FLC) enables the direct collaboration that keeps product development fast and performance high. The patented circuits and algorithms driving our FLC lead the industry in size, cost, performance, and power consumption per pixel. MDCA’s Ferroelectric Liquid Crystal on Silicon (FLCOS) microdisplay family provides full 24-bit color images at up to 120 frames per second and resolutions as high as UXGA (1600 x 1200.) These reflective microdisplays manipulate light using an incredibly fast liquid crystal technology, without the complexity of optical compensation films. The display panel, image processing, memory, and LED controllers are integrated on a single CMOS process chip. In addition to their diminutive size, these displays draw small amounts of power—making them perfect for virtual, and augmented reality in head-mounted applications, mobile applications like camera viewfinders and heads-up displays, and miniature projectors for cell phones and handhelds. Our FLCOS microdisplays also offer the most compelling combination of clarity, brightness, and color fidelity for this market. All of this advanced functionality is the result of several key patents in fields ranging from liquid crystal chemistry to pixel size. Read on to learn more about the ferroelectric liquid crystal on silicon (FLCOS) technology that makes the speed and image clarity of our microdisplay product line possible. Most displays, like LCD monitors and televisions, use a technique called spatial color to create the spectrum of colors you see. 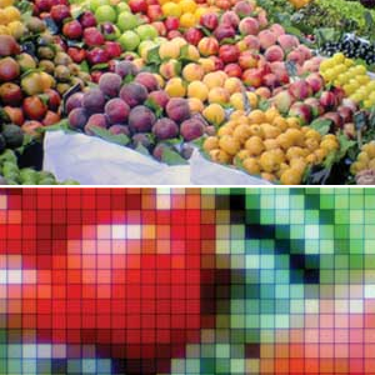 Each pixel is actually created by three closely grouped red, green, and blue subpixels that are continuously illuminated by a white light source (see the image at right for an example of an RGB pixel array). Because these pixels are so closely grouped, the human eye blends the three shades to interpret a single color for each pixel. This color design wastes power, resolution, and light, making it a poor option for mobile displays. Because each final pixel is built from three individual RGB pixels, the display must have three times the actual final resolution. It also squanders much of the light through color filters and dark subpixels. For example, a pure red display blocks at least 66% of the total light output because the blue and green pixels are completely black. Blocked light makes the display darker and wastes power—a critical commodity for battery-powered devices. Our integrated display panel controller switches frames so quickly that it mixes the red, green, and blue pixels over time, instead of space, to make a single color—much like a set of still images shown in quick succession fools the eye into seeing motion. This sequential color system provides a full color pixel creating images with increased image quality and color fidelity. Our FLCOS displays precisely control light flow through each pixel, sequencing through the colors at high speeds, up to 540Hz field rate in some products, producing vibrant images. The “F” in FLCOS stands for Ferroelectric—a description of how the liquid crystal is chemically organized and activated—but the “F” might as well stand for Fast. The details of our patents in liquid crystal engineering are well documented, but simply put, the physical differences of our FLCOS technology allow it to switch the liquid crystal pixels on and off much faster than typical LCOS displays—as much as 100 times faster, at a switching speed of 1/10,000 of a second. 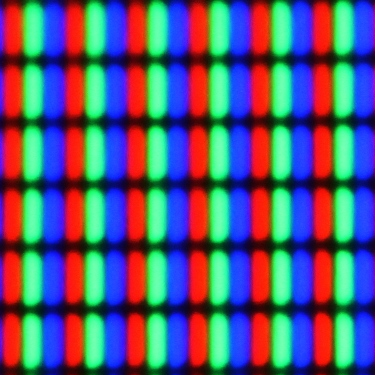 Running at these speeds enables our microdisplays to use field sequential color—a superior imaging technique that eliminates the RGB pixel split. Showing up to 120 frames per second, each frame has a red, green, and blue subframe that is displayed up to three times per frame, in sequence, creating millions of possible colors. To create the image for each subframe, the brightness of any pixel is varied by exposing light through it for different lengths of time using 256 different exposure values (8-bit) per color for each pixel — and not by filtering light, like spatial color LCOS. 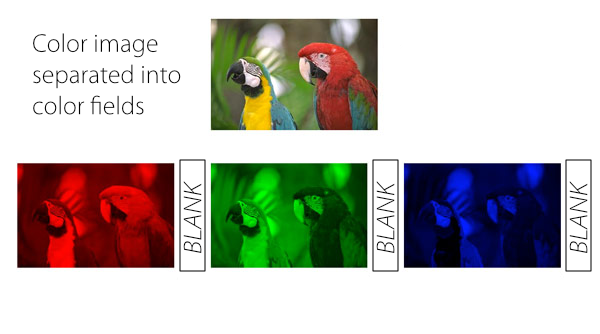 This method means that each pixel represents the true color, providing better light output, higher resolution, and more efficient power use, while eliminating the color-saturation-versus-brightness trade-offs inherent in spatial color systems. The difference FLCOS makes can be seen in the split image here. The left image, produced using our sequential color panel, is clear and crisp. The right image, produced using a spatial color LCOS panel, shows the light loss and muted color typical of these systems.